CRM/ General Business - LemmTech Enterprises, Inc.
All businesses need a CRM (Customer Relationship Management) tool to help manage their business but "off the shelf" or web based CRM programs often force you to manage your business their way and are usually lacking in crucial areas like Purchase Orders and Inventory. Using a solution from Lemm Tech Enterprises provides your business with a complete solution to let you manage your business your way. The solution highlighted here is typical of the needs of many businesses. 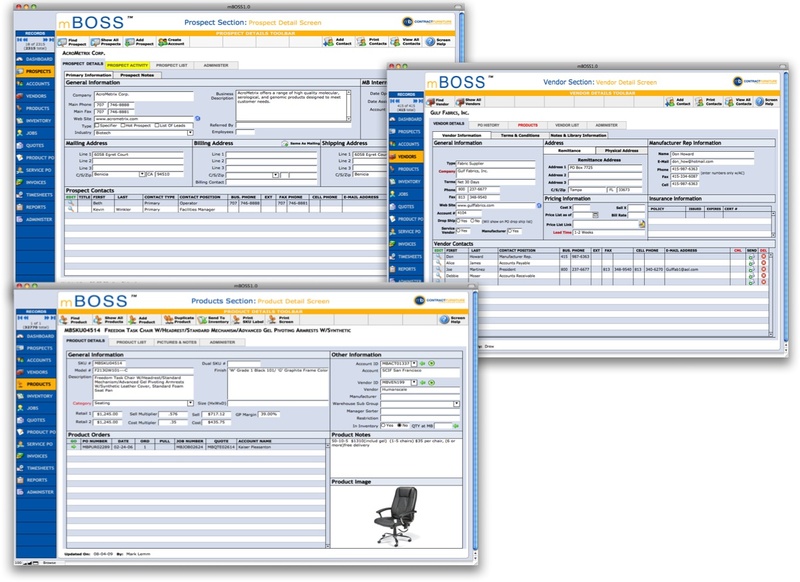 The solution manages customers, products and jobs, creates quotes, purchases orders and invoices and sends the billing information into a QuickBooks™ accounting system at the touch of a button. It has a full reporting system built it to allow users to get a complete picture of the business. It's a "one stop" customized "front end" solution that lets a company run their business the way they want to which makes them far more efficient and productive then having to mold their business to someones else's idea of how it should be managed.